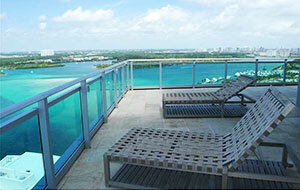 Miami-Dade County has been known to be one of the paragons in real estate. While the commercial sector still needs to pick up pace, the region’s housing market is seeing a lot of renewed interest ever since the past housing collapse. Nowadays, more and more buyers, especially foreign ones, are looking into what cities in the region have to offer. 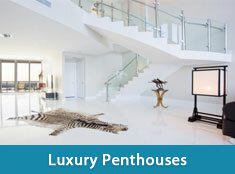 Luxury homebuyers are certainly some of the best customers. And to satiate their need for upscale condominiums, here are five of the priciest ones currently in the market. Located at the Mansions at Acqualina in Sunny Isles, the PH47 boasts a two-story penthouse residence with top furnishing by Fendi Casa. This spacious 15,000-square-foot condominium offers six bedrooms, 8.5 baths with indoor and outdoor theater, outdoor dining, wine room, entertainment center, grand salon with its own indoor pool, and a family room. 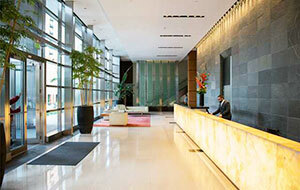 Future residents of the PH47 can relax at some of the finest luxurious amenities. The condominium is complete with its own cantilever glass pool and sky-garden. The 30-foot ceiling garden is fitted with its own waterfall for optimum relaxation. Considered as one of the finest penthouses in the Miami-Dade County, the PH47 of the Mansions at Acqualina is available at $55 million. Coming at second is the $35 million 36S/EW at the Continuum South Tower located at Miami Beach. This exquisite private duplex residence offers panoramic views of the ocean with its floor-to-ceiling glass windows. It has the largest square-footage in the entire Continuum and is actually three units combined, making it one of the best places to live in for those searching for plenty of space. The unit features exclusive custom lighting with an AMX customized security system, an audio and video network and a state-of-the-art home theater. Technology thrives at the 36S/EW with its innovated touches panels located at each room and are used to access crucial features of the residence and the entire building. And with a maintenance fee of $7,496, the 36S/EW might just be the best bang of the luxury buyer’s buck. St. Regis is one of the most popular residential towers in Bal Harbour, and it is also home to the third most expensive condo in Miami-Dade County, the 1701+. This condo comes with a price tag of $29.9 million. The unit is located conveniently near the famous Bal Harbour Shops and St. Regis’s own 9-acre lush garden landscaping and generous beach property. 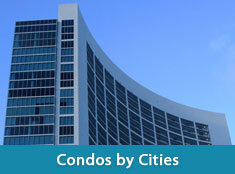 The unit is a combination of five condominiums and offer seven bedrooms and baths. Also included in the amenities are library, bar, fully-equipped kitchen and a game room. The fittings are top-of-the-line and future ownership brings with it access to the building’s exclusive amenities, including four pools, private cabanas, choice of three restaurants and more. 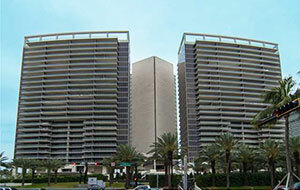 Another property located at Bal Harbour, the 2604 of One Bal Harbour is available for $28 million. This penthouse unit is furnished with world-renowned interior designers and features panoramic views of the nearby bay, ocean and city. The large residence boasts a staggering 7,700 square feet with wraparound terraces complete with stunning sunrise and sunset views. And with a resting room included, future owners of the 2604 can relax in style on their own hot tub located on the unit’s private terrace overlooking a buffet of spectacular views. 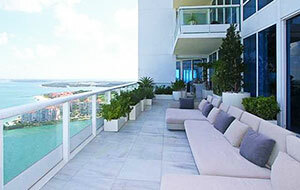 Last, but definitely not the cheapest, is the 54DEF of the Four Seasons Residence at Miami available at $27 million. This 9,000-square-foot residence offers an exquisite, luxury modern living. 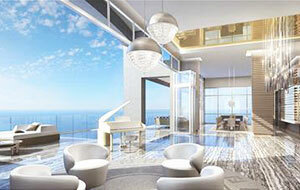 The unit offers 10-foot floor-to-ceiling windows that provide spectacular views of the ocean. Access to the condominium unit is strictly via a private elevator entrance and inside, residents are welcomed with breathtaking corner living and dining rooms with a windowed eat-in kitchen. Throughout the 54DEF, future residents will find some of the best residential features. From the restaurant-grade chef kitchen to the soundproof theater, this condominium units definitely creates an environment where class and comfort seamlessly meld.